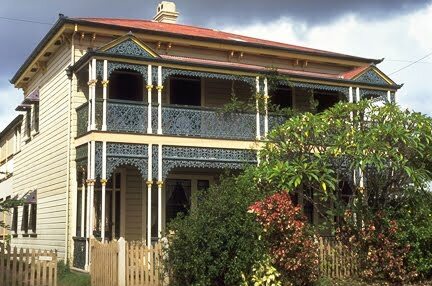 Here is another set of semi-detached houses built in the 1880s boom in Brisbane - this time a two-storey construction in West End. It is pictured below in 2008. 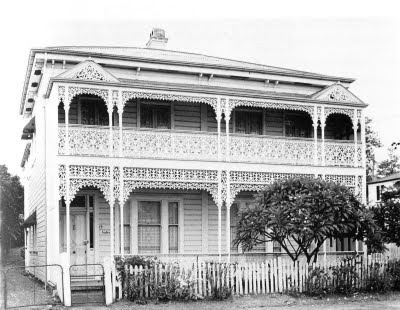 Like many of the other houses built at this time, it has had a varied history. 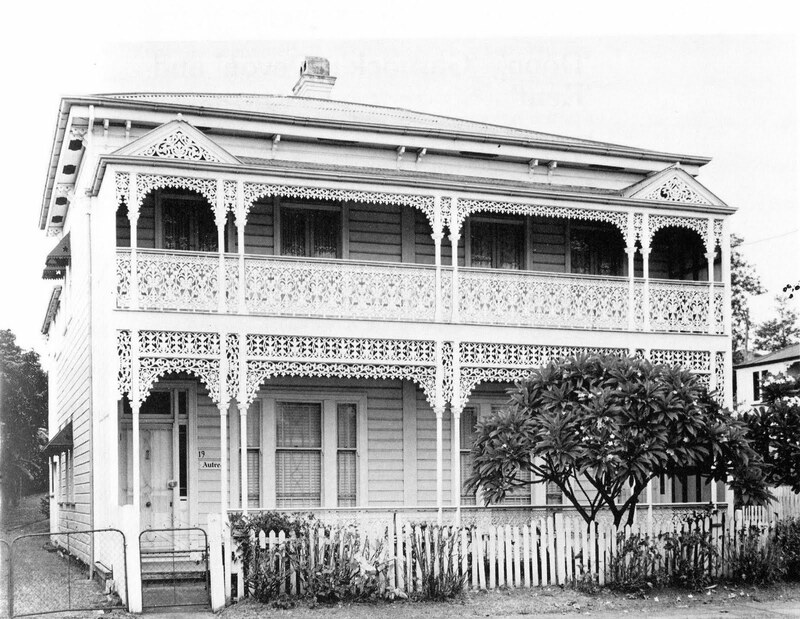 After existing as separate residences for twenty years or so, in 1909 it was converted into a single residence and christened Astrea by its owners. It was subsequently neglected for many years until being converted back to two separate houses in 1981. My photo above shows the dwellings now. They feature gables and intricate fretwork, as well as leadlight and cedar panelled entries. It is nice to me that the frangapani has survived the years too and witnessed the changes to the missplaced semi detached in West End. Although it does hide alot of the lovely front.